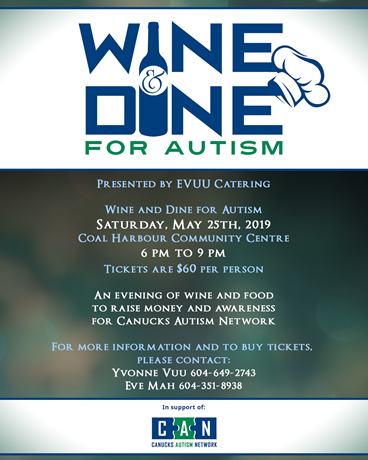 Presented by EVUU Catering, reserve your seat at Wine & Dine for Autism! Enjoy a fine dining experience, while raising money and awareness for Canucks Autism Network! This fundraising event is lovingly organized by two mothers of children with autism. This entry was posted on May 25, 2019 by Events Manager.